Glasgow Prestwick airport is the best-value airport in Scotland and plays host to two of the major low-cost airlines flying to European destinations, Ryanair and Wizz. From Prestwick, passengers can fly to a wide variety of destinations, as near as Northern Ireland and Dublin or further afield to sun holiday destinations such as Faro, Tenerife and Mallorca. Visitors arriving into Prestwick airport are just 45 minutes away from central Glasgow and the airport is unique in having its very own railway station. The train service from Glasgow Prestwick to Glasgow runs every thirty minutes from Monday to Saturday and hourly on Sundays and all passengers travelling to and from the airport receive a 50% reduction on standard rail fares. There are also bus and coach services into Glasgow from Buchanan Street station. Even if your visit to Glasgow is a short one, it makes sense to avail of the transport options available to enjoy an evening in the centre of Scotland's largest city. The Sandyford Hotel is extremely convenient for people travelling to and from Prestwick airport by public transport and also by road, as we are located close to access to the M8. This 3* hotel is a perfect base from which to visit Glasgow attractions, even if it is just for an overnight stay. Our hotel is centrally located between the City Centre of Glasgow and the West End on bustling and vibrant Sauchiehall Street. We offer 55 well-appointed bedrooms, tastefully decorated to a high standard and free Wi-Fi access from all rooms. Our affordable B&B rates include a full Scottish breakfast and there is a member of staff available day and night to answer any queries you may have or to help with onward travel queries. Call The Sandyford Hotel on (+44) 0141 334 0000 to enquire about available rooms and to make a hotel booking near Prestwick Airport. 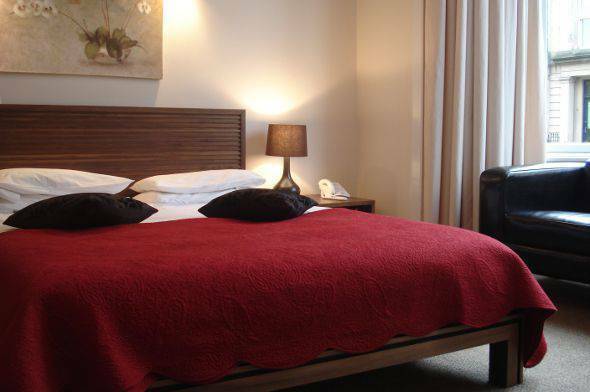 We will be happy to help you avail of our best bed and breakfast accommodation rates. Alternatively, you can contact The Sandyford Hotel with the help of the booking form on our website. 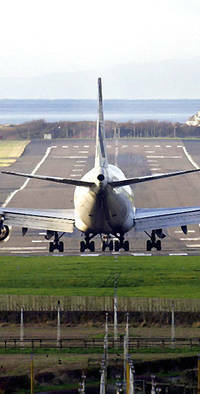 For a conveniently located Prestwick Airport hotel, The Sandyford Hotel is an excellent choice.